The other day we passed a church with the Nativity scene out front. Jonathan was impressed by it and asked, "Mom, what is that?" I explained to him that it is a re-enactment of when baby Jesus was born and the three wise men brought him gifts. To which he replied, "Oh, like a baby shower"
Yes, dear. A baby shower. Today, we celebrated our own personal family Christmas. We're traveling to Arizona on Thursday, and we didn't want to take all of our gifts with us. We treated yesterday like Christmas Eve and let the boys open their new pajamas and new Christmas movie. We made cookies and hot cocoa. We snuggled on the floor and watched Rudolph. Then we tucked them in and got to our wrapping. This morning we awoke to Jonathan yelling in our faces, "I got a skateboard!!" He couldn't help taking a little peak into the living room before coming to wake us up. Then, it was a traditional Christmas morning like any other. We made our coffee, and put the French Toast Casserole in the oven. 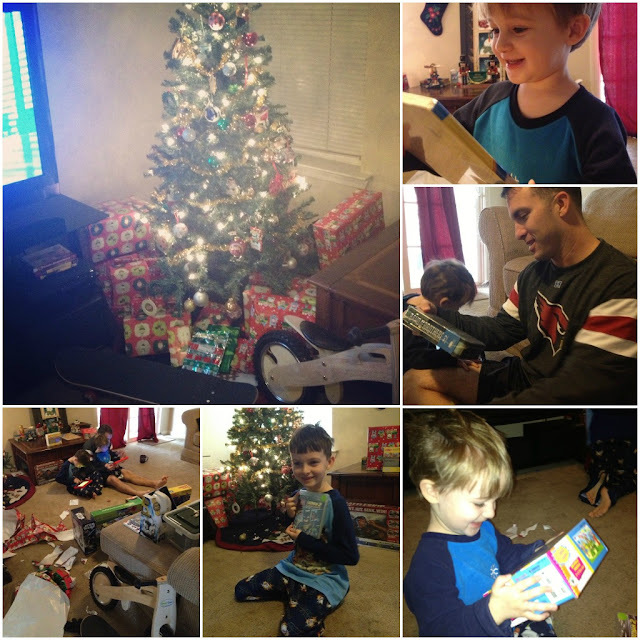 We sat back and watched the boys unwrap each gift. Watching the boys' faces light up when they saw their gifts. Hearing them say "Thanks Mom! Thanks Dad!" Feeling their arms around our necks. How sweet! I absolutely love the pictures. Such sweet children you have. Awww Thank you! They are my sweethearts. Very cute pictures! And your french toast casserole looks delicious -- we always eat that too and I am looking forward to getting home so I can eat my moms! Have a safe trip to AZ! 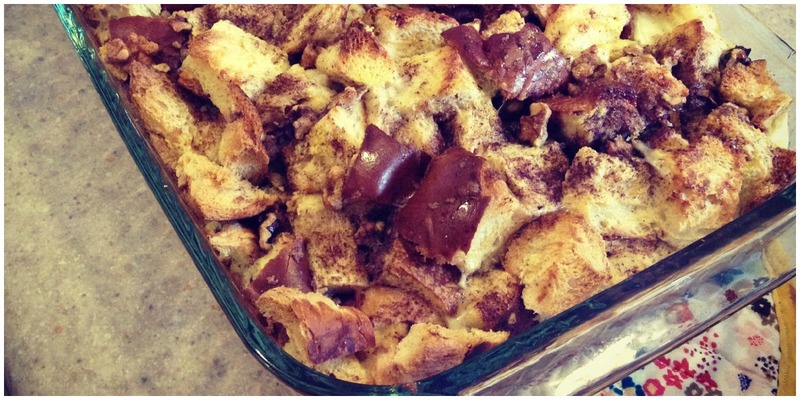 mmm french toast casserole! You should share your recipe one day! And I'm with Ashley...share the recipe! Well hearing that is ALWAYS nice!! :) New book chat friends are my favorite. Can't wait! Very cool. Have fun in Az! !